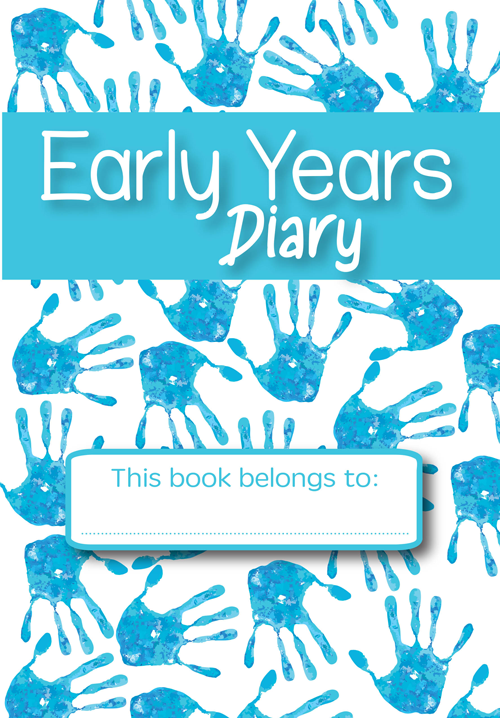 Working closely with the DfE statutory requirements, we have created this Early Years Diary to enable easy and structured communication between the home and childcare setting. These diaries are A5 in size and are also available in discounted packs of 15 and 30. Click on the product photos to view the insides. To view a more detailed description, scroll down to the bottom of this page. Purchasing this resource will give you 50 Reward Points! This allows for important information about a child to be recorded, such as allergies, languages spoken, activities that are particularly enjoyed or activities that are particularly not enjoyed. Here you will find space to list a child’s general activities throughout the day. 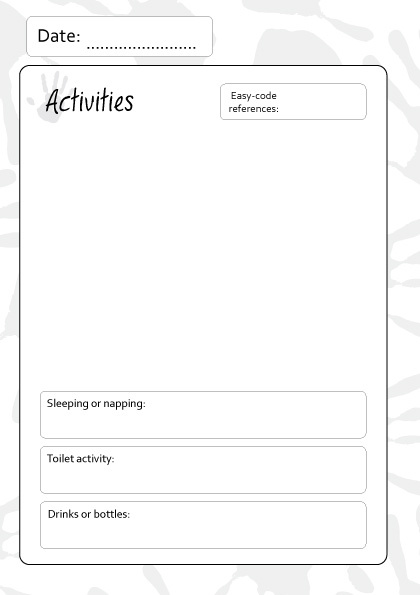 There are also specific sections to document activities, including sleeping/napping, toileting, drinking and eating. 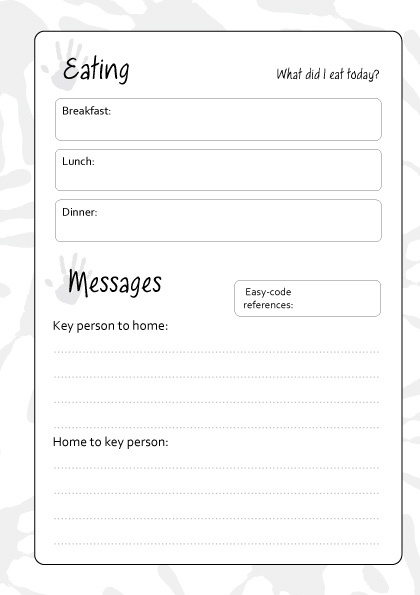 There is also a section for a child’s Key Person to write messages home and vice versa, to enable a clear line of communication. 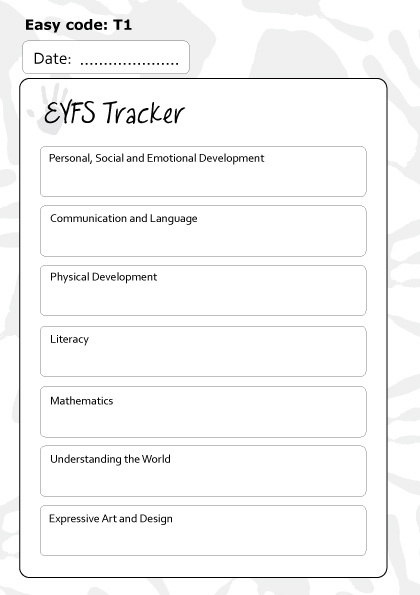 Towards the back of the diary you will find an EYFS development tracker, along with key sections of the governments Outcomes and Development matters documents. 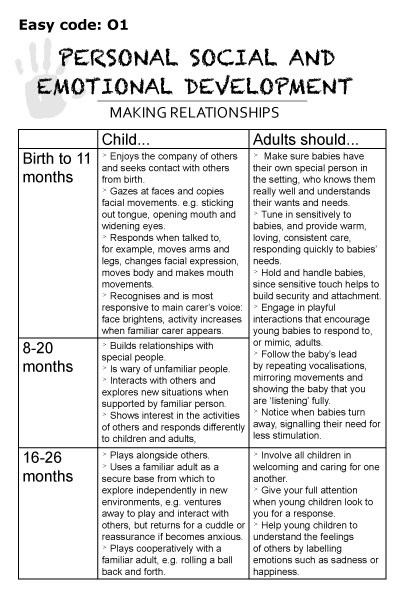 These can be used to show parents exactly how their child is developing in line with the government guidance. It also shows what parents can be doing at home to aid with their child’s development. We have coded each of the pages in the Tracker Section so that they can be referenced in the daily diary section, to make it easier for both the home and the childcare setting to make links with the government guidance.